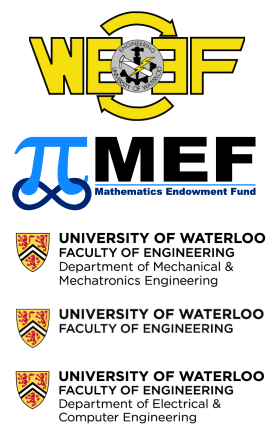 We’re a team of University of Waterloo students who are developing a series of fully autonomous flying robots for entry into Unmanned Systems Canada's Student UAS Competition. The Waterloo Aerial Robotics Group (WARG) is a student design team at the University of Waterloo competing in the Unmanned Systems Canada Student UAS Competition. We are a passionate group of students focused on innovating the Unmanned Aerial Vehicle industry. We take pride in building everything ourselves, from the autopilot and computer vision software, to the custom designed PicPilot board that we use on our aircraft. If you’re interested in learning more about us, read our about page. We’re always looking for new talent, so if you’d like to join, find out more here. If you represent a company or would like to sponsor us, click here to view the sponsor information package, or you can contact us directly.